Charleston County Transportation Development and the City of Charleston are partnering to develop a long-range plan to ease traffic congestion and improve travel for all modes of traffic along a three-mile stretch of U.S. 17 in the City of Charleston. 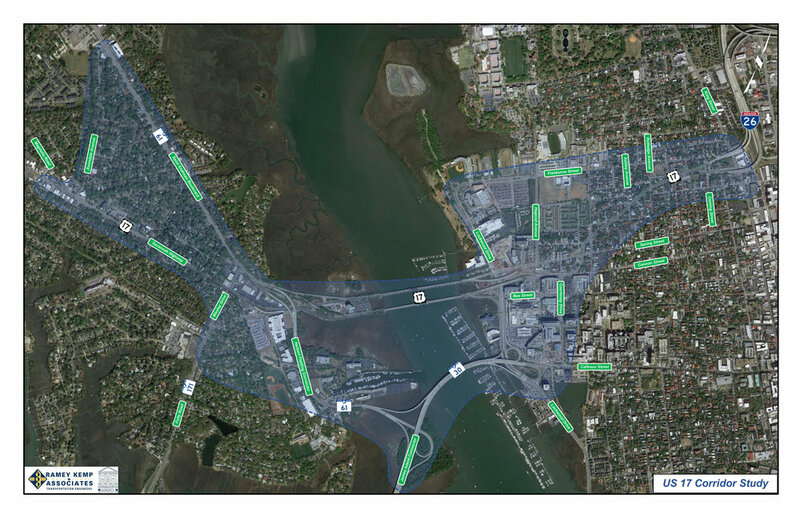 The project study area has been defined as the corridor of U.S. 17 in the City of Charleston, from Avondale Avenue at Savannah Highway, across the Ashley River Bridges and through the Crosstown to its connection with I-26 near Coming Street. The area includes intersections and interchanges with major arterials such as S.C. 61, Wesley Drive, Folly Road, Lockwood Blvd. and the James Island Connector. The focus on this three-mile section of U.S. 17 derives from previous and in-progress regional planning efforts that identify it as a priority route for mobility improvements.